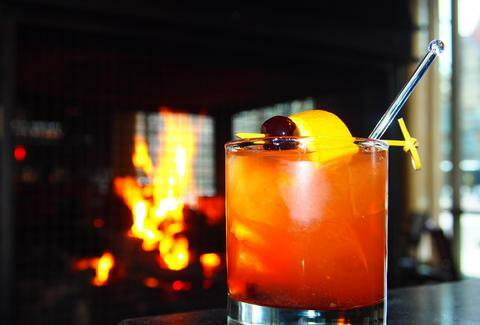 The howling winter winds are back (you know how bad it gets), and there are only two things you can do: 1) book a flight to Fenway South or 2) find the nearest bar/restaurant with a fireplace. Because option #2 is way easier and has less Florida, here are the 12 best spots to roast your chestnuts in Boston. 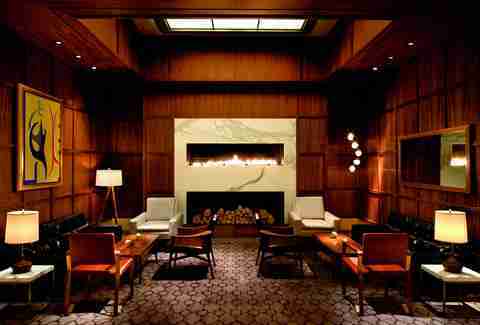 Tucked away in the Ritz-Carlton, Avery Bar’s retro-chic fireplace lounge could be the set for a Mad Men spinoff (Madder Men?). Melt into a soft leather couch or chair, sip revved-up versions of classic libations, and close the deal à la Draper. Schmooze yourself with the No. 8 martini dubbed “Smokey,” a stellar combo of Tito’s vodka, a Lagavulin wash, and charred orange. For the bold, go for the Agave Sazerac fueled by Bulleit rye Whiskey, agave nectar, and absinthe. 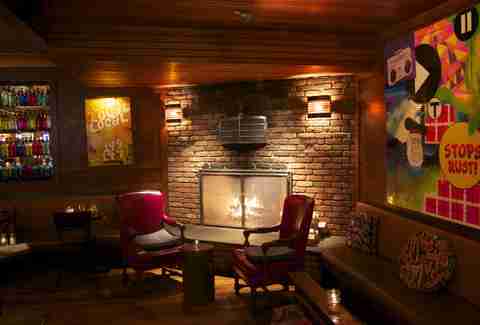 The rustic French countryside meets the 21st century at Chalet, Bastille Kitchen’s subterranean hideaway with a stone-clad fireplace front and center. For maximum comfort, your trip to l’Hexagone requires a bottle of Gamay, Foie Gras Sliders, and Tea Smoked Mussels Marinière. Complete your evening of indulgence with a silky Chocolate Mousse Tarte crowned with marshmallow brûlée. Charles Street is already postcard-level quaint, and BHB keeps the theme alive inside an appropriately dark and friendly den. 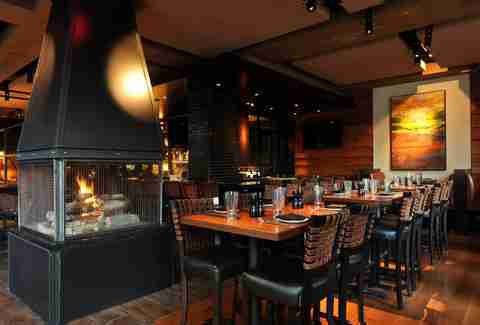 The fireplace burns brightest next to the eight-seat bar, so grab a coveted high-back stool and settle in for some belly-warming fondue. Also on your to-do list: try one of the paradoxically named cocktails, such as the Whispering Viking. Bondir is a definitively charming farmhouse style restaurant, and the hearth table is the best seat in this little house. As the gales whip down Broadway, take refuge here with a robust beer (Founders Porter), a 1994 Borges Vintage Port, or a Cardamaro Vino Amaro. Once you’re cheeks are rosier, a refreshing house-made soda (Ginger-Spice, Maple-Mint, Lemon Lime) will set you straight. The fare changes daily based on available ingredients, but you’ll have no problem finding snacks for that extra winter padding. 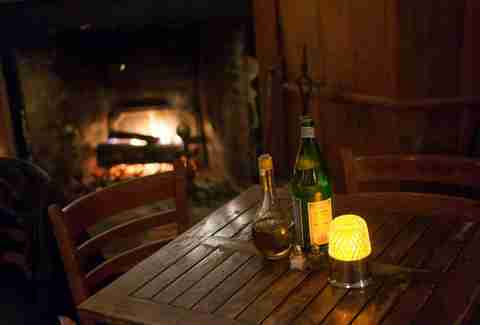 For a next-level winter-warmer experience, a multi-course feast by the fire at Deuxave is the way to go. “Night Moves” Scituate Lobster with Gnocchi is a good start, along with A Duet of Prime Beef Tartare & Wagyu Carpaccio. 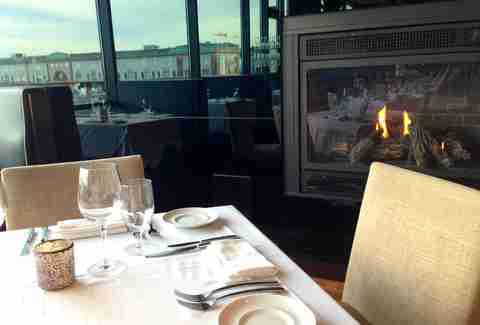 Remain in the lap of luxury with selections like Niman Ranch Prime New York Strip and Cavendish Farm Pheasant capped off with a chocolate souffé..
Flip Old Man Winter the bird from this choice spot at Legal Harborside with sweet views of the frigid North Atlantic waters. 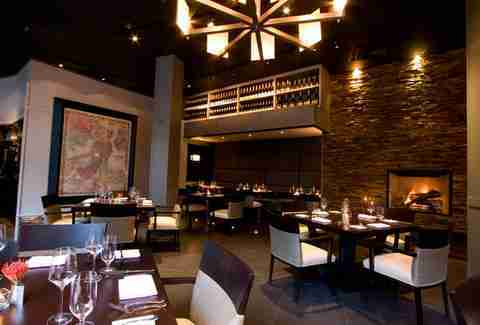 Revel in Legal’s signature cuisine, such as Smoked Trout Paté, Monkfish Saltimbocca, and Butter Poached Lobster. Bonus: there’s another fireplace upstairs on the four-season promenade deck. 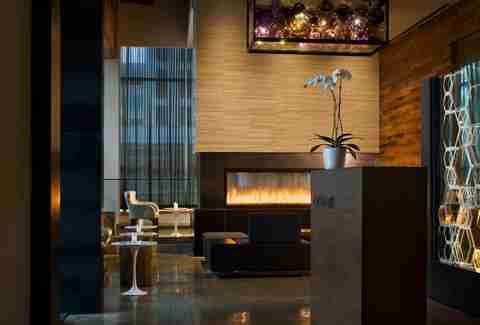 The pride of City Point has the Mercedes of fireplaces and the floating grillwork to prove it. Pretend you’re on Masterpiece Theatre in those red leather chairs and savor masterpiece cocktails like the Pomegranate Smash with bourbon, pomegranate juice, and “spanked” mint. Another standout is the Dark and Stormy, made stormier with dark navy proof rum and extra-spicy house-made ginger beer. 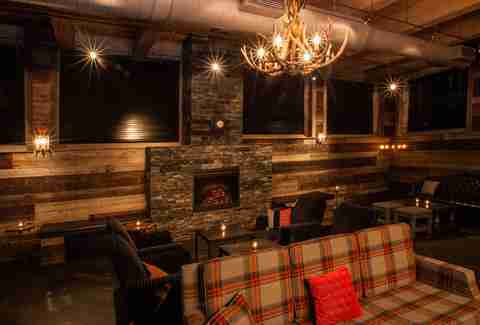 Forget about those bone-rattling Back Bay wind tunnels with fire and style at Post’s downstairs Tavern hangout. Similar to BHB, the potent drinks here have catchy names like the Loosen Mai-tai and the Whiskally Wabbit. You should eat before trudging to the T, and the Braised Beef Short Rib Bourguignon is calling your name. Outstanding cocktails (the Smoked Nail) and 22oz drafts of craft beers (e.g. Peak Organic, Mystic) set the tone before your dinner inferno of Lobster Fra Diavolo in this colonial era cottage-turned-restaurant. Pro tip: really heat things up with hot mulled cider with added brandy, rum, or whiskey. 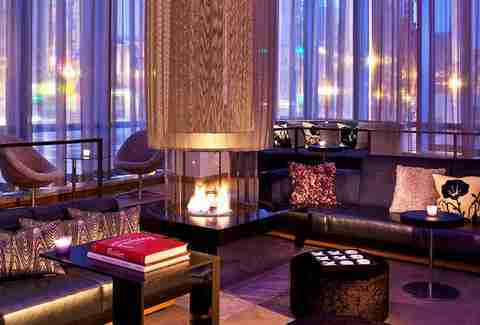 This sleek Theater District lounge at the W Hotel is a showstopper with its burning ring of fire, classy quenchers, and tasty bites. Nosh Roasted Mushroom Flatbread elevated by pancetta and Comté cheese while sipping a Northeast Kingdom Collins (Barr Hill gin and Vermont maple syrup). Then toast your rising stardom with the Champagne Mojito, a fresh twist on the original thanks to Sailor Jerry and sparkling wine. 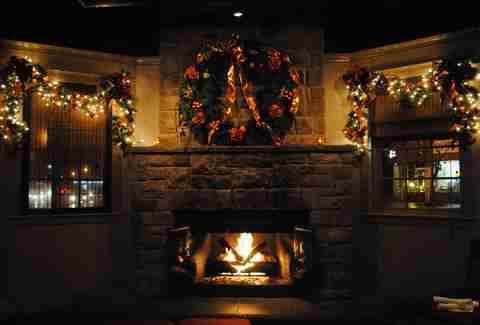 The weather doesn’t seem so bad when you’re drinking Hot Buttered Rum Cider or Shipyard Pumpkinhead splashed with vanilla vodka beside a gigantor fireplace. Don't miss the 13-hour hickory smoked BBQ pulled pork tacos.